Although this week officially marks the rush into the holiday season, for us last weekend was a rush of birthdays. We had quite a handful or friends, big and small, who were celebrating their birthdays. 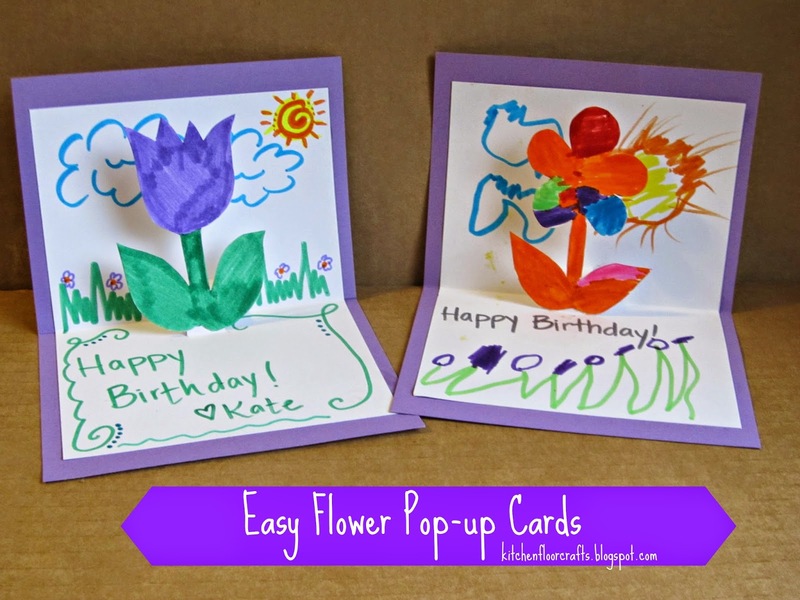 One of our favorite types of cards to make for friends are pop-up cards. This method makes it easy enough to make more than one at a time, so while Big Brother created one for his friend's birthday present, I made one for a friend too. 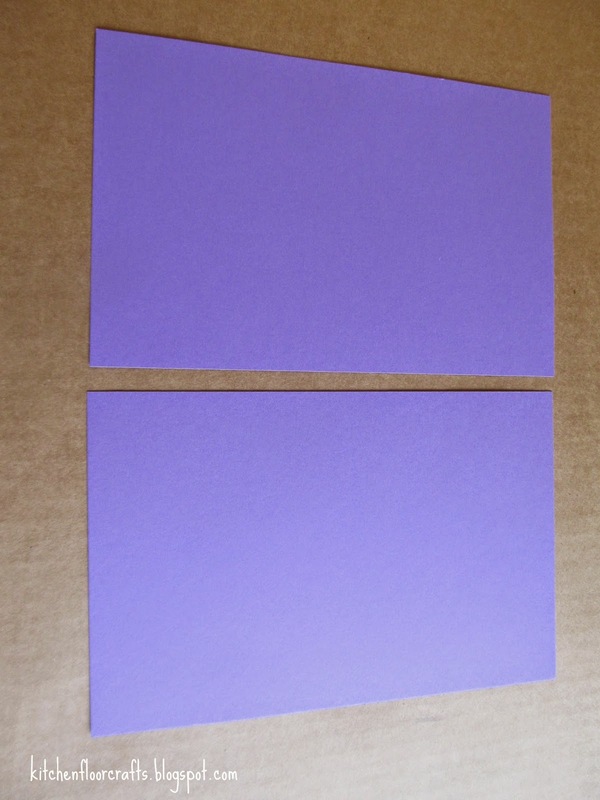 First, cut the colored sheet of card stock into two equal pieces (4.25in x 5.5in). Cut 1 inch of each edge of the white piece of card stock and then cut the remaining piece in half. The two pieces should be about 3.75in x 5in. Fold the rectangles in half, there will be one of each color for one card. 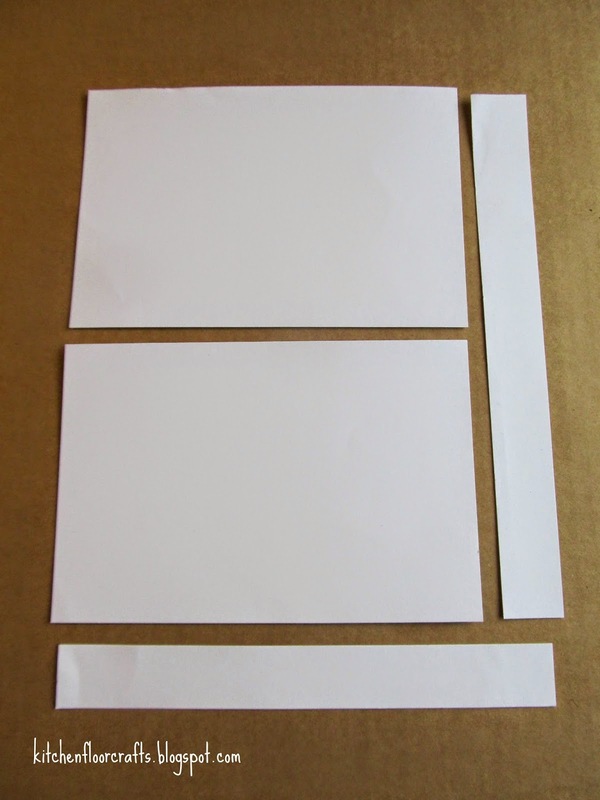 In the center of the white card make two small, parallel cuts with the scissors. 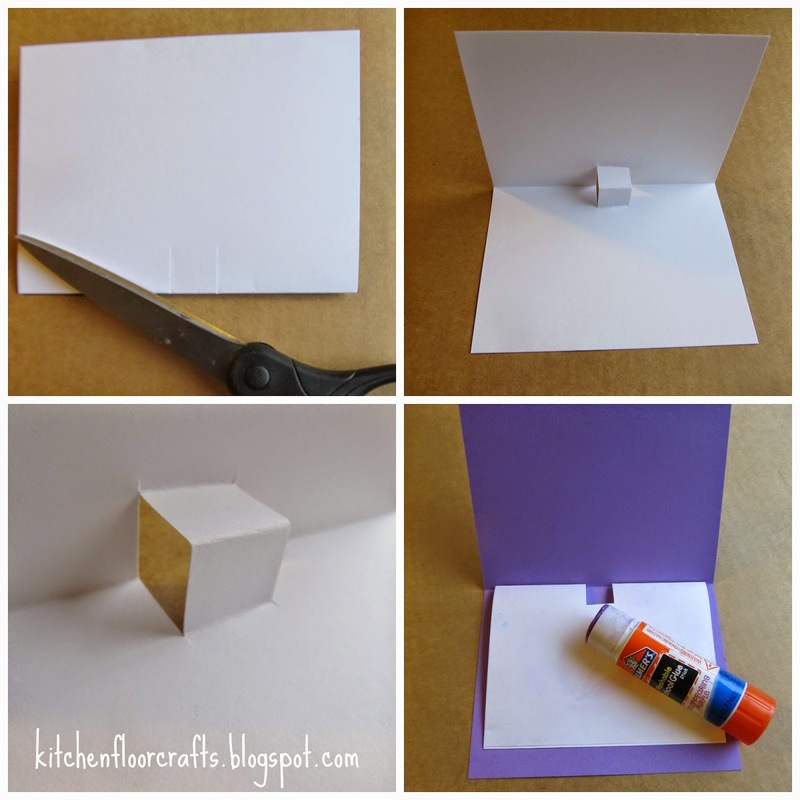 Push the two slits in the opposite direction from the fold of the card so that it makes a small cube shape. 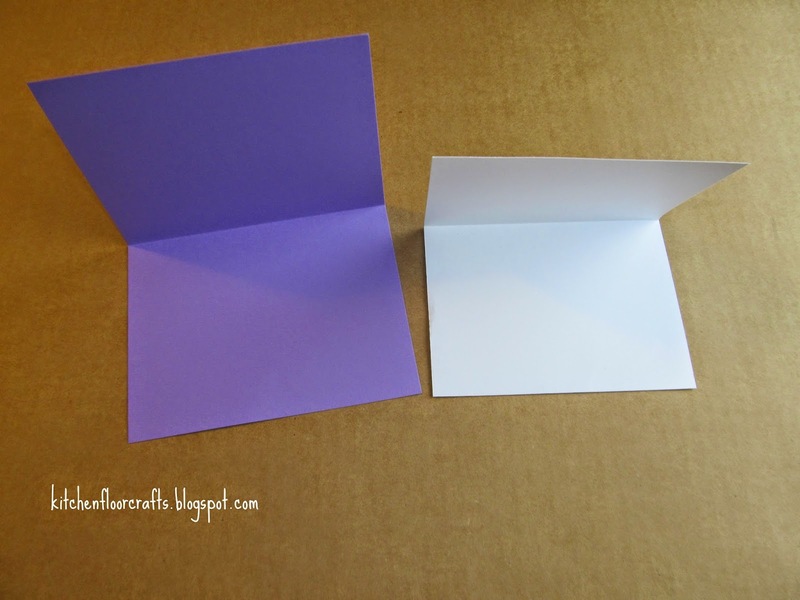 Glue both sides of the white paper into the colored paper with the cube folded into the card. 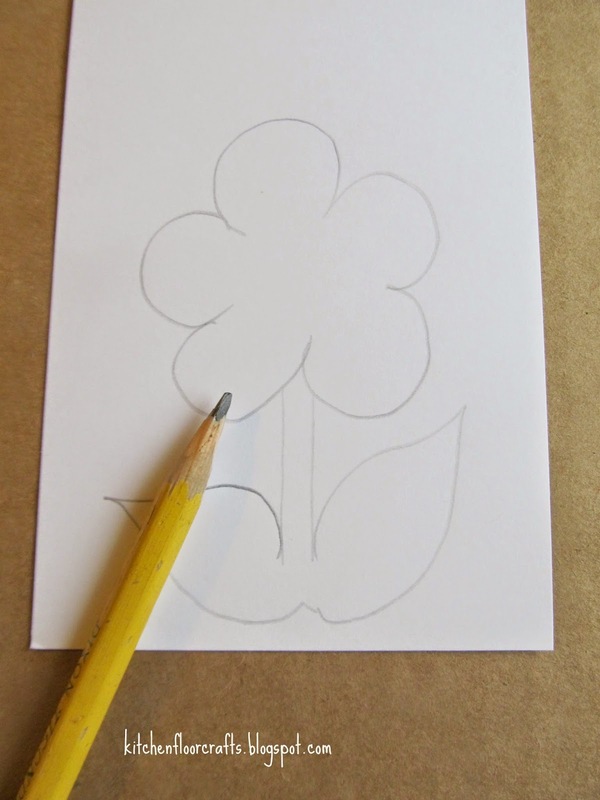 On a separate, small piece of paper draw out a flower shape and cut it out with the scissors. 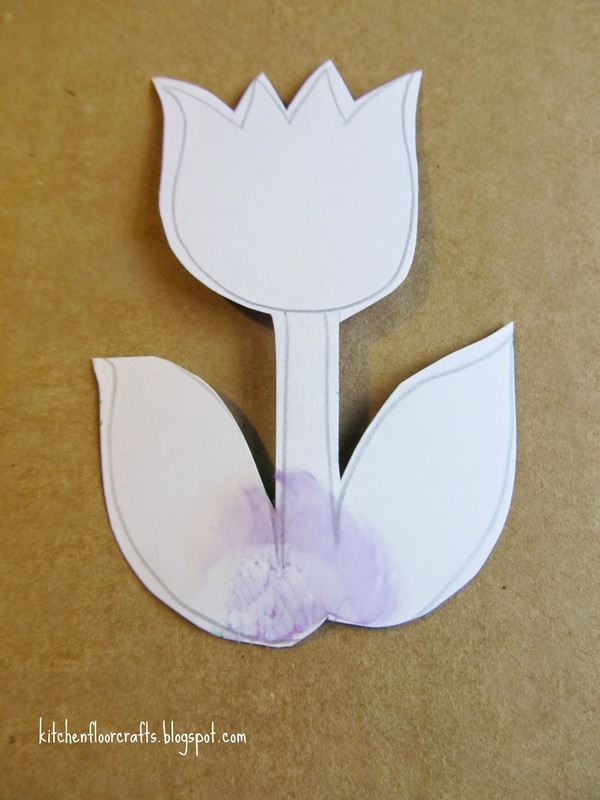 Decorate the cut out flower with markers (or other medium of choice.) Decorate the inside of the white card with markers as well. 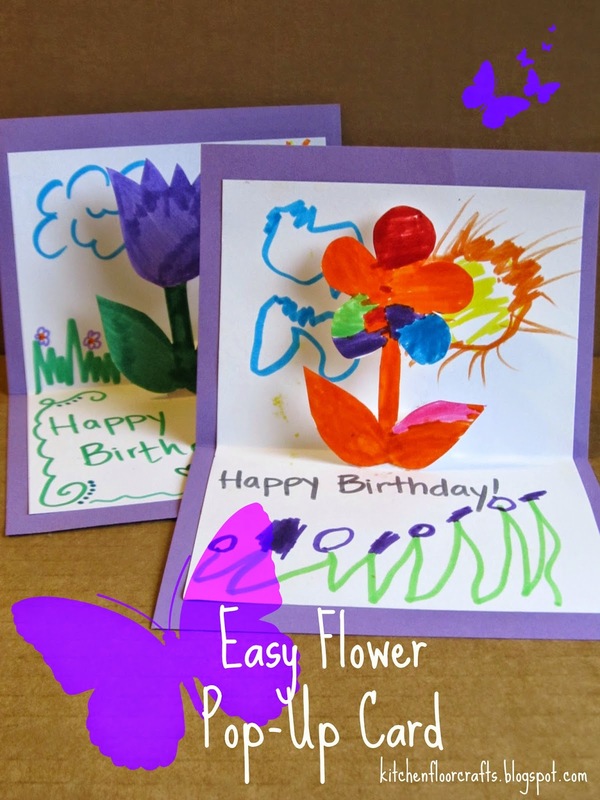 Place just a tiny bit of glue on the backside of the base of the flower and glue to the frontside of small cube shape inside the card. Press the card closed a few times to make sure the flower is securely attached. The flower will remain standing when the card is open, and close flat when the card is closed. The ideas are endless, what might you create? These look great - such a simple, but effective design!